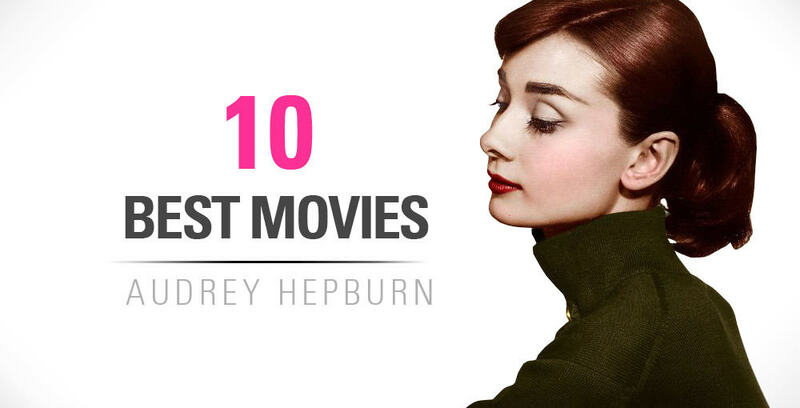 Will there ever be another Audrey Hepburn? I don’t think so. If I had to chose the closest person that resembles her in any sort of way I think that I would have to say that Natalie Portman is the closest Audrey Hepburn look alike… Not only does Natalie look like her, she possesses a lot of the same charming, talkative, and refined traits. She has the ability to showcase that certain quality that Audrey was famous for, that peaceful, quiet, elegance – like she wouldn’t be able to hurt anyone or anything… OR maybe all the forest animals would run out to greet her when she started singing. Audrey has a very strong and beautiful posture that was developed during ballet. Natalie holds her herself like Audrey does. ____________ Are you one? Contact us! 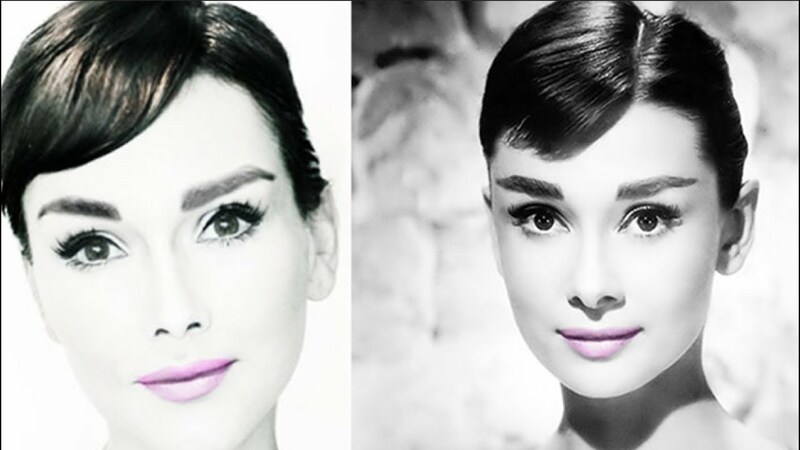 Most times depending on makeup, Natalie looks like Audrey Hepburn. Lily is the daughter of Phil Collins! Big eyes, dark eyebrows, and she is sporting a gamin hair-do, pixie like cut that Audrey wore. Kendal is another stunning Audrey Hepburn look alike. She recreates some very intricate and beautifully done shots of classic Hollywood celebrities. We absolutely love her Instagram! Definitely check her out and follow her if you are looking for ideas and cute images for inspiration! A little bit about her, she was born in Pennsylvania and is currently living in between Los Angeles and Paris. She is a talented actress who has played in a variety of roles and movies. 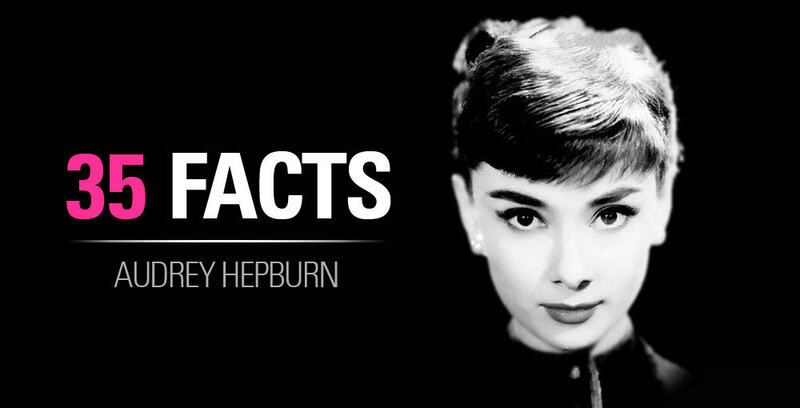 And of course, if you couldn’t tell, she’s an avid Audrey Hepburn fan! Not only that, but she also plays the ukulele and she’s a super sweet person! 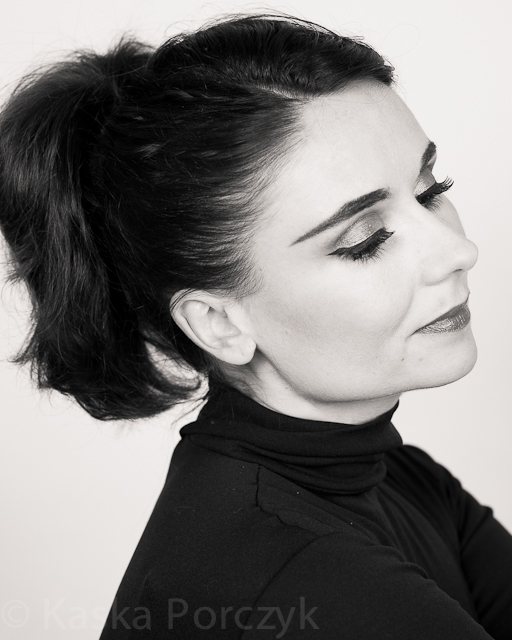 Charlotte is one of the best Audrey Hepburn look-a-likes that we have stumbled across. You have to look at all of her photos to gain an appreciation for her work. If you look at her breathtaking photos in her Instagram, you can tell that she has a tremendous amount of attention to details. 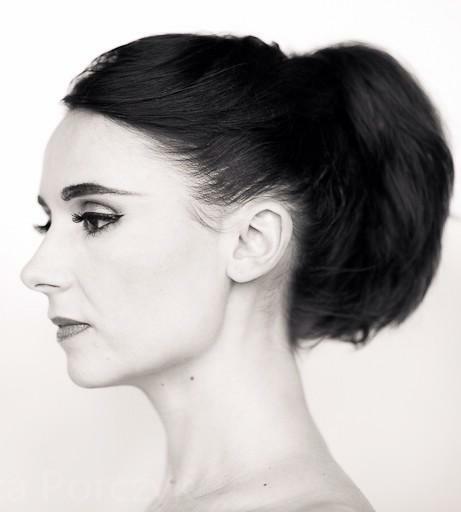 She has recreated some very famous Audrey Hepburn photos, where I thought it was actually Audrey Hepburn! They are that good! Plus her outfits are very well put together – they’ll definitely give you some much needed wardrobe inspiration. “My name is Lucinda Elizabeth (Smith), was born in May 1994 and I am from Surrey, England. For the last 6 years, I have been a spa/beauty therapist specializing in relaxation treatments and makeup, helping to make people feel better every day! I would describe myself as a creative person, loving art and being musical – more so in singing. I find travelling enriching, experiencing different cultures and learning languages – I am currently learning how to speak French and German fluently. Here’s Mia looking stunning as ever! Go here for her article written about her. 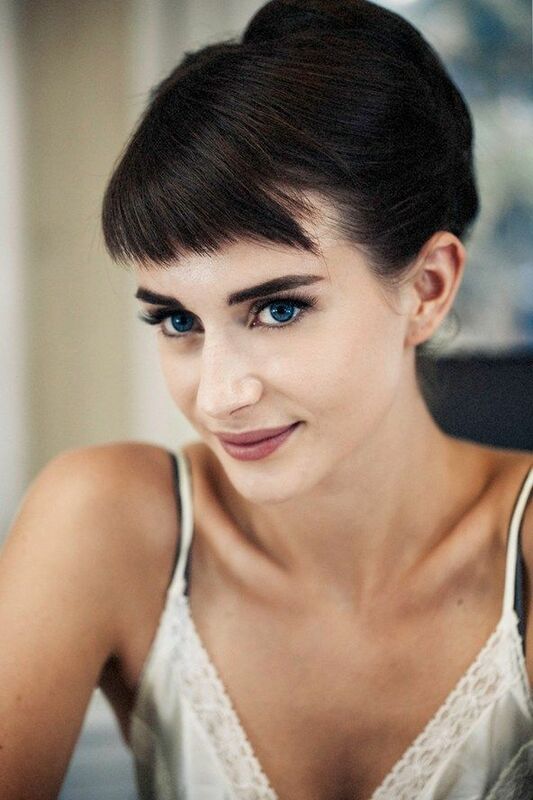 Zoe Carter is a professional Audrey Hepburn Look alike and runs the blog iamaudreyhepburn.com. Pretty good pictures Zoe! Jenny is one of the two models that helped with the new Audrey Hepburn chocolate commercial that was shot a couple years ago for Galaxy chocolate. dont forget the classy rooney mara! Yes, I’ll have to add her to the list too! I read somewhere that Audrey gave Winona a pair of gloves that she owned on Winona’s 18th birthday. WInona then gave it to a young actress named Tavi Gevinson on her 18th birthday. Hey u should check on this girl named Tatjana Saphira, i think she’s the most close audrey’s look alike. Their eyes are very similar. She’s like the rencarnation of her (i mean for their phsycal appeareance). Yes she does! 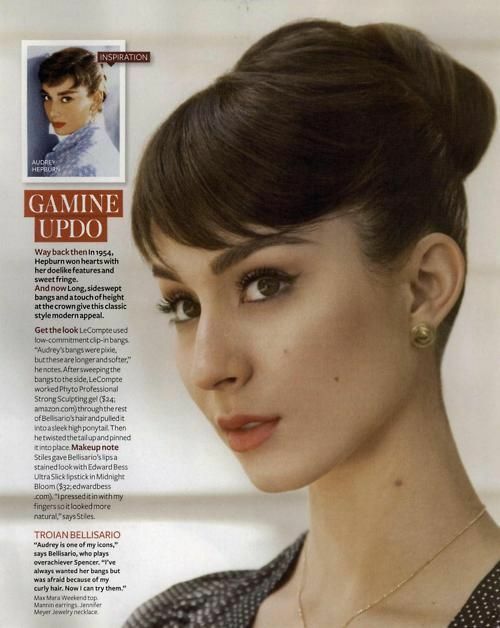 She’s very pretty, she does resemble Audrey pretty closely. She looks part Asian descent which I think adds more to her lovely look. Good find Belle! Thanks for sharing, I’ll have to add her to the list! These women are all attractive but none of them, not even Natalie Portman, comes close to Audrey’s facial features. The closest on picture is KANDEE JOHNSON. The rest of them may wear same makeup & style but nowhere near Audrey’s facial features!